Guess what else we are not done remaking: Daphne du Maurier’s 1938 gothic suspense novel Rebecca. Variety reported on Wednesday that Armie Hammer (Call Me by Your Name, The Social Network) and Lily James (Mamma Mia! Here We Go Again) have signed on to star in Netflix and Working Title’s film adaptation of Rebecca. Entertainment Weekly reported that Jane Goldman (Kingsman) is writing the script and Ben Wheatley (High Rise) is directing. It will be hard to follow Joan Fontaine and Laurence Olivier in Hitchcock’s 1940 film adaption. The book itself is so good it will make you fear marriage, parties in your honor, and living on large estates, for the rest of your life (in my case more of a chicken-egg situation). The story follows Maxim de Winter and his second wife (the roles in which Hammer and James have been cast), who is quickly victimized by insecurities she will never live up to the passion and beauty of the first, Rebecca. Then there is Mrs. Danvers, a caretaker of Maxim’s family estate, called Manderley—she has yet to be cast. 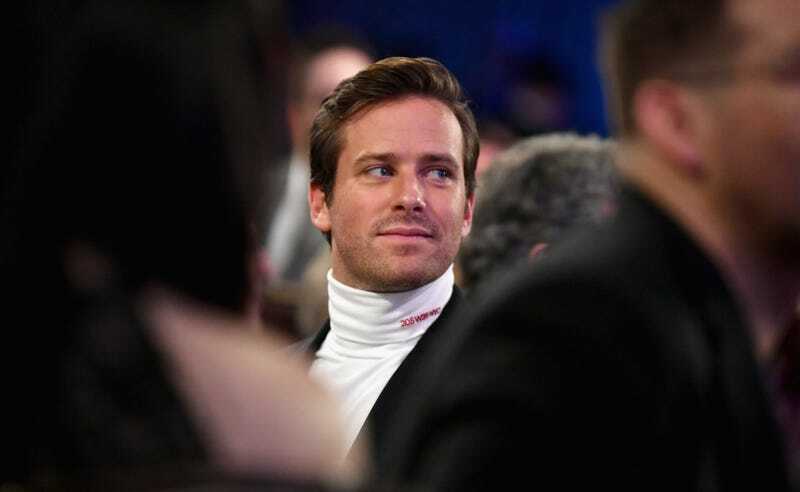 Armie Hammer will do just fine. He has a track record of playing moral messes of men convinced of their goodness, or wanting badly enough for others to do that job for them. As for Lily James, I haven’t seen her in anything before, which is exactly what the role requires.